The lab requires 1 set of putty for a single upper impression OR a single lower impression. This product is for Do It Yourself customers only. Before you mail in your teeth impressions, we ask that you take photos of the impressions and email them to us so we can determine if they are accurate or not. Since we provide 1 extra set for a practice impression, you will need to purchase any additional putty that is required to get an accurate impression. 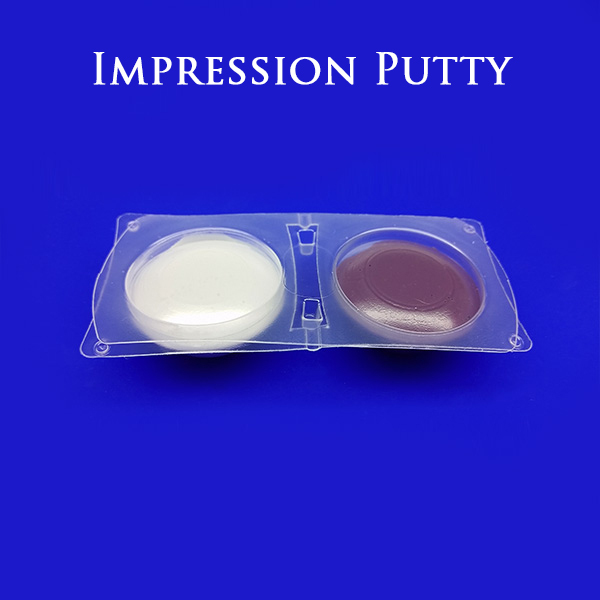 You will only need to purchase additional putty if you take inaccurate impressions for a second time or if you do not send in photos and we receive them and they are inaccurate. SKU: N/A. Category: Teeth Impression Supplies. From Your Teeth Impressions we Manufacture Custom Teeth Devices Found at Dental Offices, So You can Receive 50% Off the Dental Office Price! © 2019 From Home Dental. All Rights Reserved.